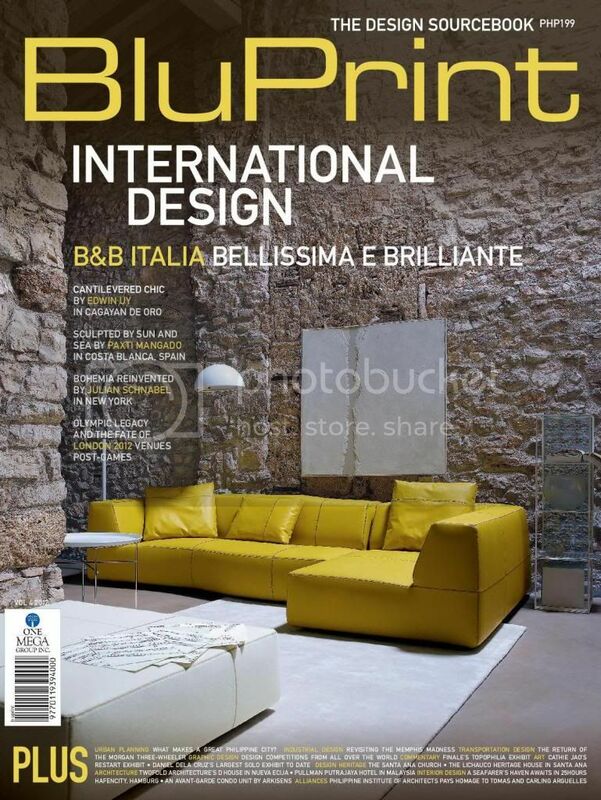 Bluprint's International Design Issue pay homage to B&B Italia, one of my favorite or rather ultimate furniture brands ever. Having had close contact with Mr. Buznelli himself when I did by industrial design studies in 2006 at Milan, B&B is close to my heart. Aside from the fact that they produce furniture and accessories I adore but the level of workmanship and originality is something that is really worth checking out. And worth spending for. I have to admit, I have bought quite a few more pieces from time to time...slowly as prices can really tend to get steep. Such an honor to be featured together with such an eponymous brand which has a long history of modern design. 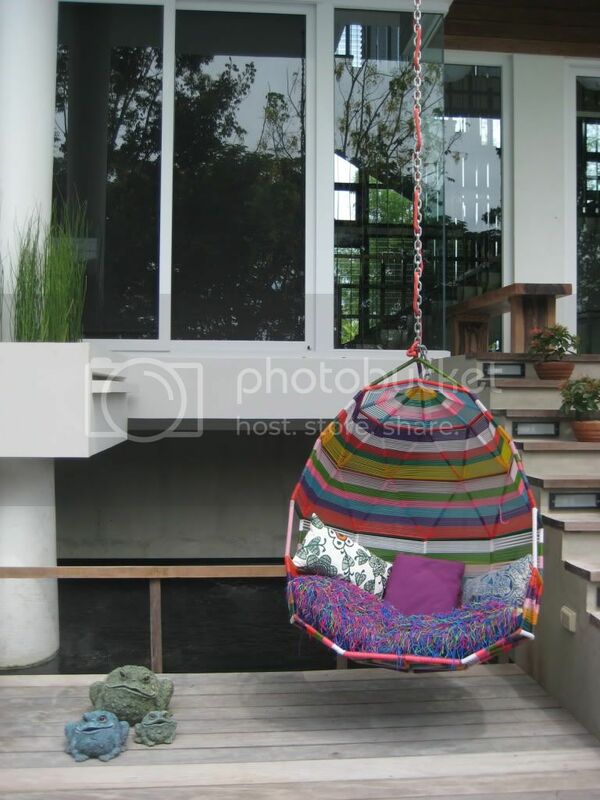 And the house that has been features sued quite a lot of products from B&B from it's Tufty Tume sofa by Patricia Urquiola indoors and to the 1966 Collection of outdoor furniture by Richard Schultz. All around this house, you will find my personal favorites which saw its place perfectly blending with the architecture and interiors I have designed. 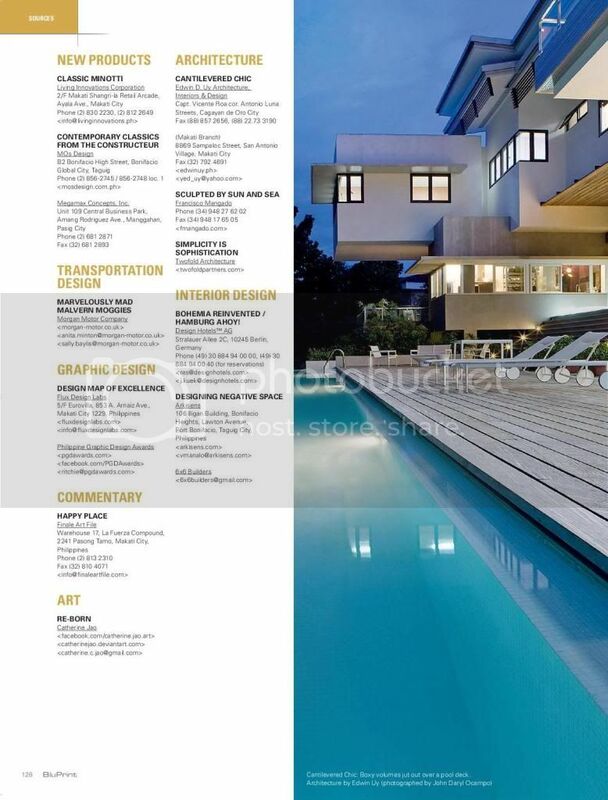 This house I consider to be one of the most important projects to date. 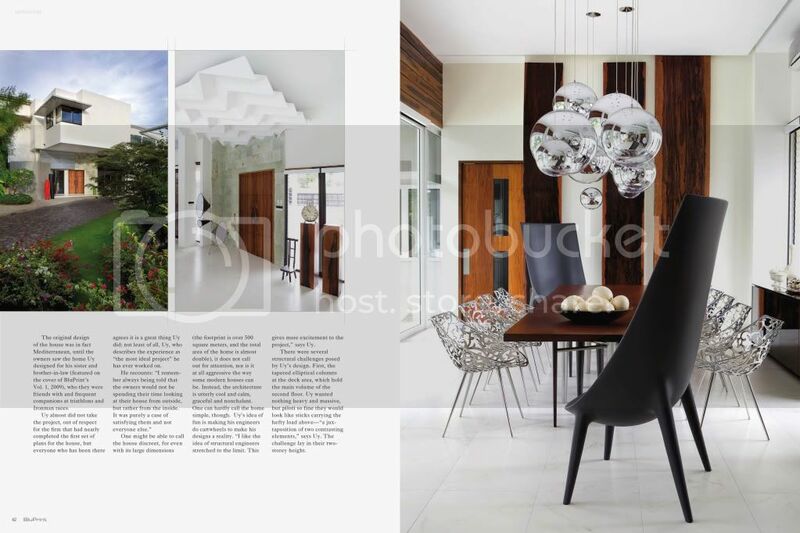 I was able to play with the interiors with much authority given by my client who was very open to modern design. And not just contemporary lines. Read more about the article whom Judith (deputy editor of Bluprint) wrote quite well. A good interpretation of its hard-to-build structural design to the international design content of the house. As so named with this issue's International Design. *all photos taken from Bluprint magazine. 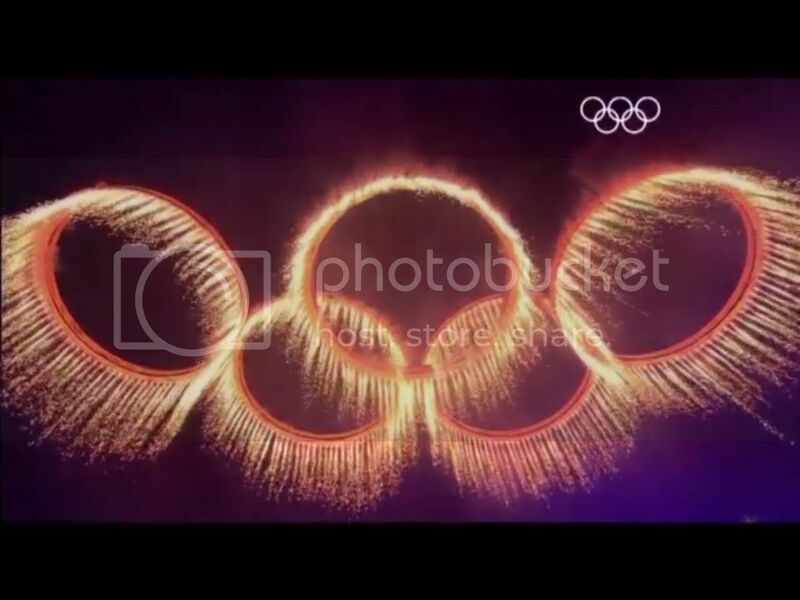 I think it is befitting to use the fireworks display photo from this year's Olympics at London. Grabbed it from a video supplied by the Guardian (I think). As it welcomes everyone for the opening of this year's sporting event, it also welcomes me back from hibernation. Uhm, not exactly hibernating but have been busy and soaked with all the drawings to be edited and submitted over the last eight months. I did not even have the time to blog. I miss blogging and there may be times I won't blog for so long (like now), it does not mean I don't want to write anymore. I still want. I enjoy doing it. As much as I enjoy teaching. But that I had to stop due to my unending travel between my two offices...yes, I now officially have two offices. Legit. As in with business permit and all. So is shall welcome myself to my blog once again like the Olympics where it comes back after so many years. Mine after so many months. Haha. A lot needs to be talked about but I will try to get back to those when I can. But for now, let's talk about the present. Armed with an iPad now, I hope I can blog more often. Again, it has been a while since my last entry. Work has been eating up my blogging time yet again. Though I won't give up on this just yet. I still enjoy writing despite my not-so-good english and all that. Speaking of writing, I officially had my first chance to write something for a magazine. The story began last summer when I was informed about this collaboration with none other than, Space Design & Travel magazine. I was actually one of their 11 people to watch out for 2011 which I am still honored to be part of that list. Months later, the editor-in-chief, Sheryl Songsong and the creative director, Carolyn Lee and famous fashion photographer Roy Macam and I had our first meeting at Lusso. The brief was made and the ideas came pouring in. A fashion architecture theme once again which really excited me very much. As you may have read from my previous posts, I always see fashion as something that greatly influence my design and way of life. It was such a great opportunity. A dream come true. More of my thoughts about this collaboration on my editor's note as the guest design editor for this issue below. Can't read it? Get a copy now. The time on its stands will be over soon so grab a copy! 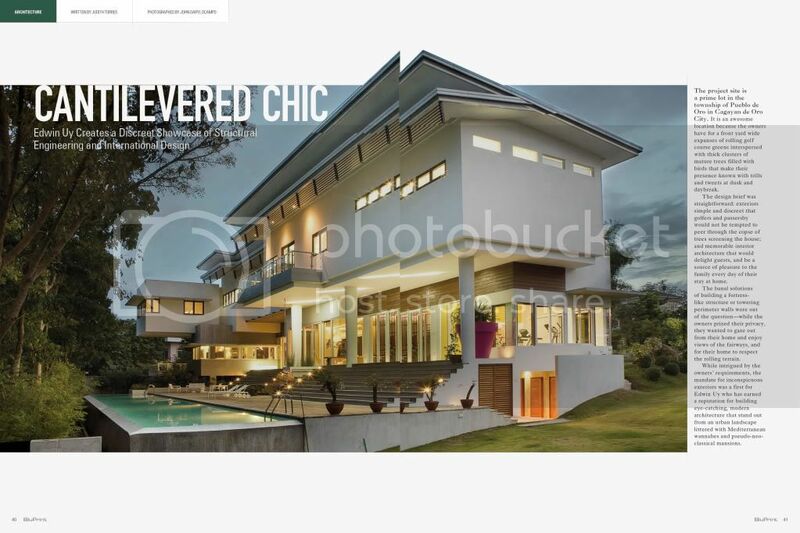 Of course, with this collaboration, my projects are greatly featured in this issue with fashion shoots on four of my residential houses. 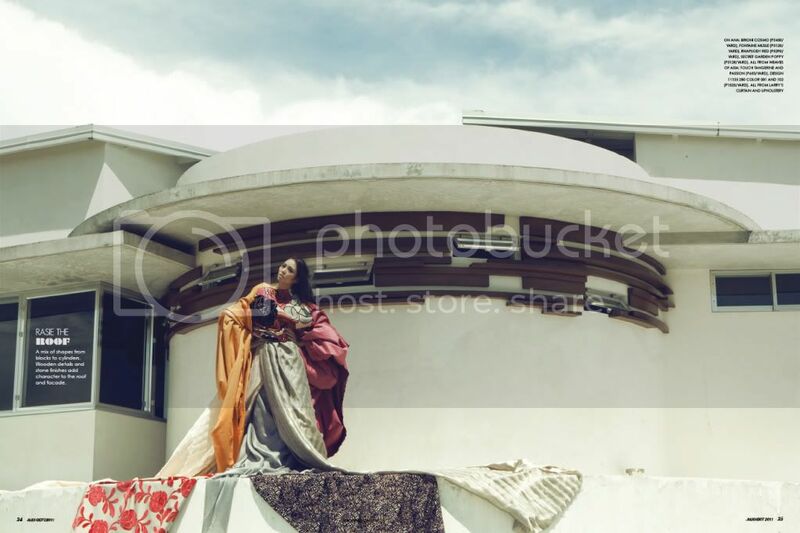 From House No2, No3, No5 and No6 which was greatly executed by Roy Macam of course and top model Ana Sideco draped with wonderful fabrics from Larry's fashioned by Estien Quijano and make-up by Edwin Ramos. Roy even had to get on top of the van to take the shot of Ana at the top of House No6's roof deck of the living area. We braved the heat and rains as well. It was such a wonderful packed week of shooting but it was all fun and rewarding especially when the magazine was finally out three months ago. The excitement and thrill of seeing most of my work out in a magazine. Interior + Design + Art + Installation? I love doing details on my projects. Especially the ones which allows me to work on site and clients giving me freehand to experiment. 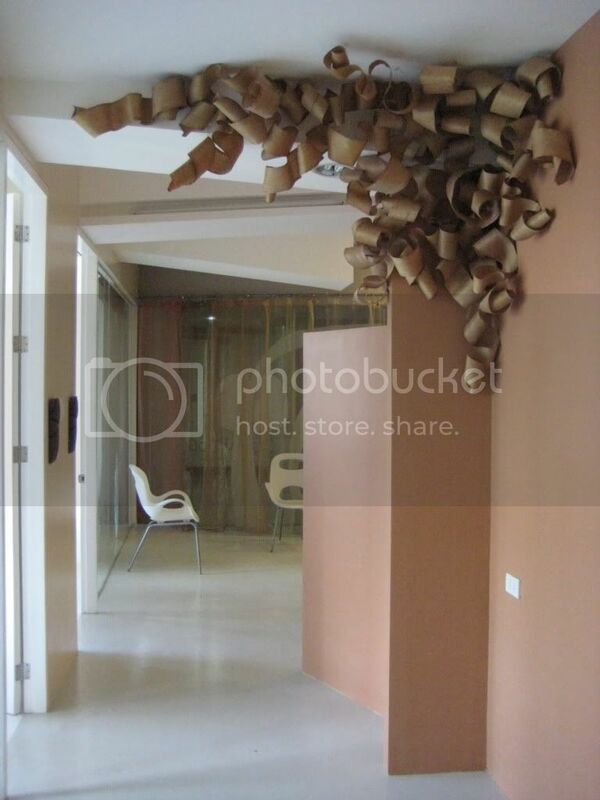 One project was Click Digital Post, Inc. Years ago, they hired me to do their office and experimented with a ceiling treatment using wood veneer. At that time, it was a fairly new product and saw a lot of potential with thin sheets of real wood that comes in rolls like ribbon. The big difference though is its flexibility. The real ribbon can be curled, folded, tied without breaking it. This one in wood veneer was too brittle. Rolling it with a small radius will definitely make it crack and destroy its beauty. This challenged me and wanted to prove otherwise. I added some construction elements to make it follow the desired shape and it worked! Bringing an entire box of curved wood that looks like wood shavings startled the x-ray machine controller at the local airport asking what it was. They even had to take a peek. I assembled them into several groups along the main hall and added lighting in each section. Fast forward to this year, the office had to move to a bigger space and I was given the chance once again to do the interiors. 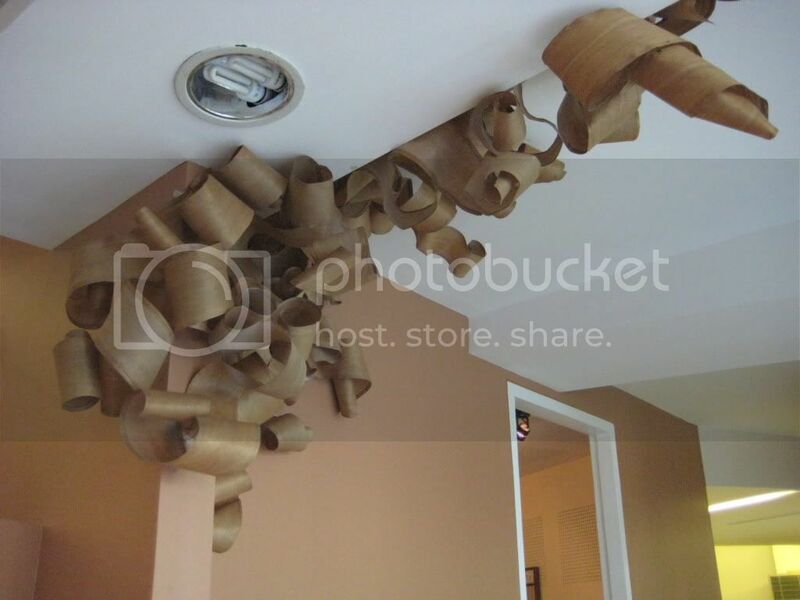 Luckily, one of the guys at Click managed to save the wooden veneer ceiling treatment. Some got damaged and had to throw away some. 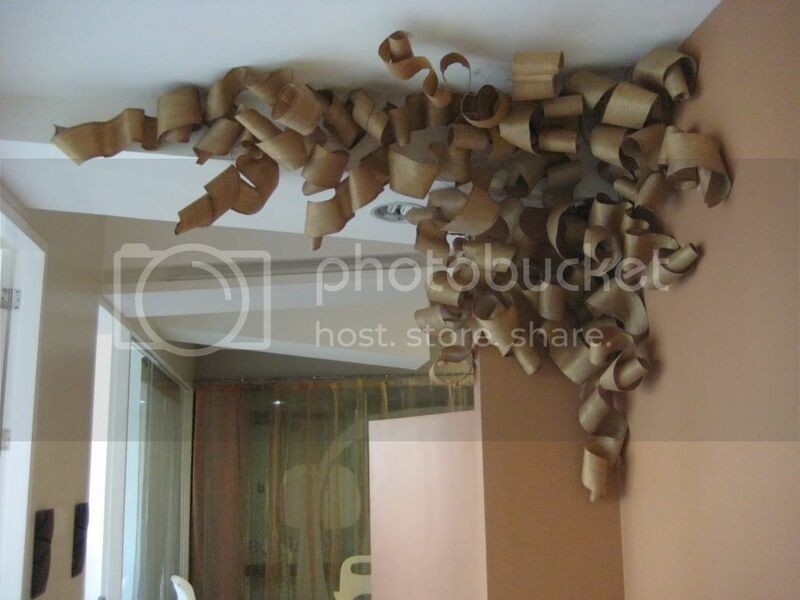 What was left, I still did use it as a ceiling treatment but instead of spreading them in groups, I decided to let it grow. Inspired from Ron Arad's growing Do-Lo-Rez (see, I am haunted by it! 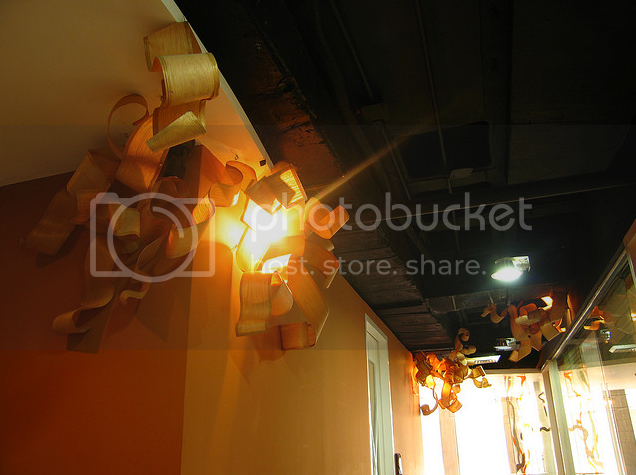 ), the wooden veneer grows out of one corner and unfurls its wooden "shavings". From the other side of the hall. One thing's for sure, I love my job. More photos of the old Click Digital Post, Inc. office here. Not just a want of the moment but rather obsession of the month. Or even for the next few months or forever. 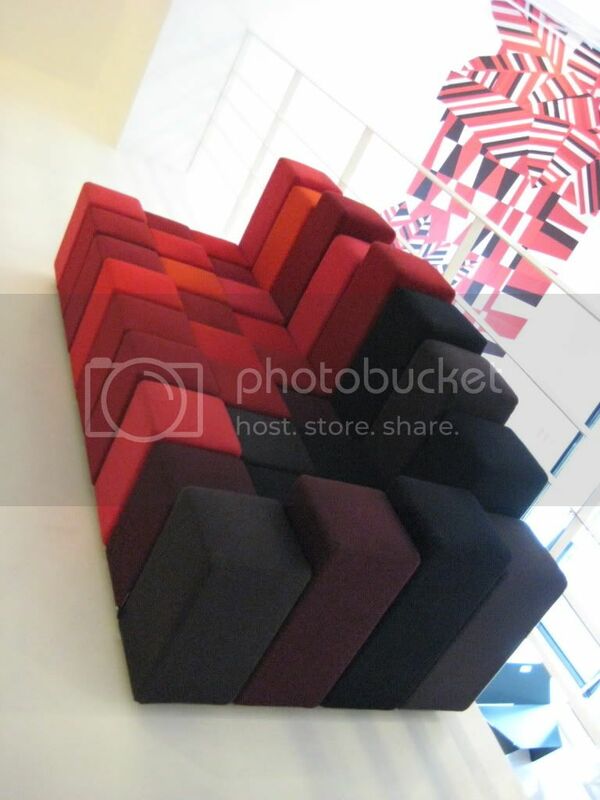 It is none other than the Do-Lo-Rez sofa by Ron Arad manufactured by Moroso. Need I say more? I have been wanting to own a piece of major Moroso furniture. Could this be it??!?! I have already checked the area for it and it fits snugly on one corner though it would be best if it can be viewed on all sides. It deserves all the attention it needs. Like a growing piece of furniture, the square cube stretches to become a seat and further stretches at the rear to become the back rest. Brilliant. The seat is not even at all equal to channel users to move around and look for the best spot. 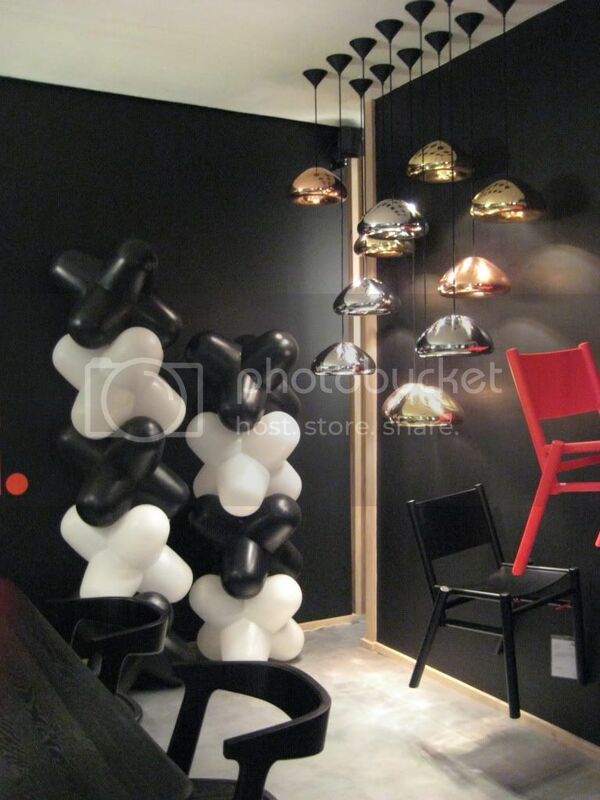 It may not be THAT comfortable but what the heck, it is the Do-Lo-Rez designed by Ron Arad for Moroso. Love. 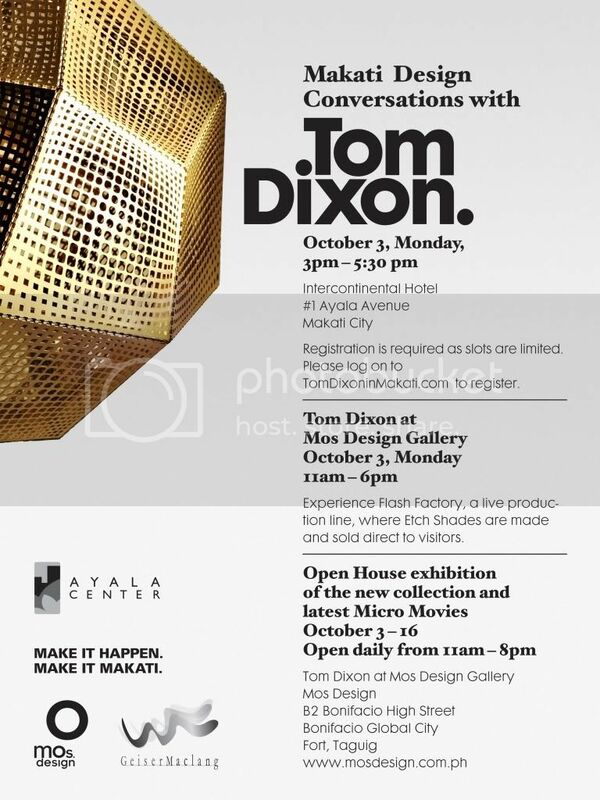 The arrival of Tom Dixon. 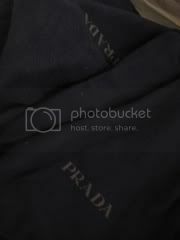 No, not the brand, the designer himself! 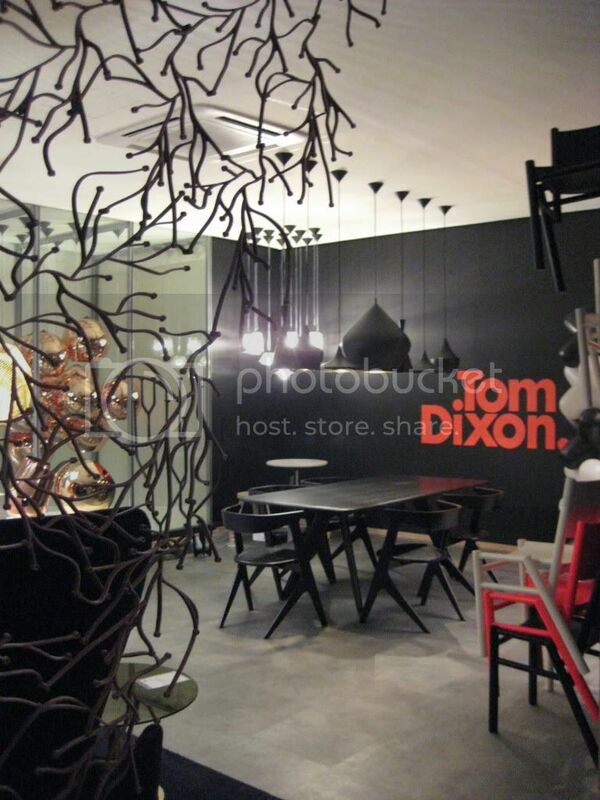 A few months back, the brand Tom Dixon has touched Philippine ground. Available at the 3rd Floor of MOS Building at High Street right at the middle of the long stretch of Bonifacio. 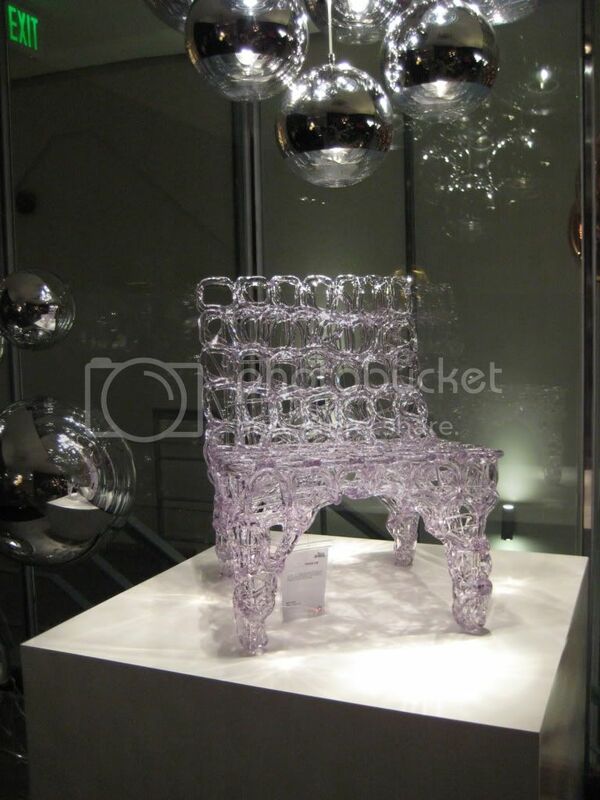 I have been a big fan of Tom Dixon ever since I started getting into design. The very first thing I knew of him was because of the Jack light in fluoro orange and has been a fan since. 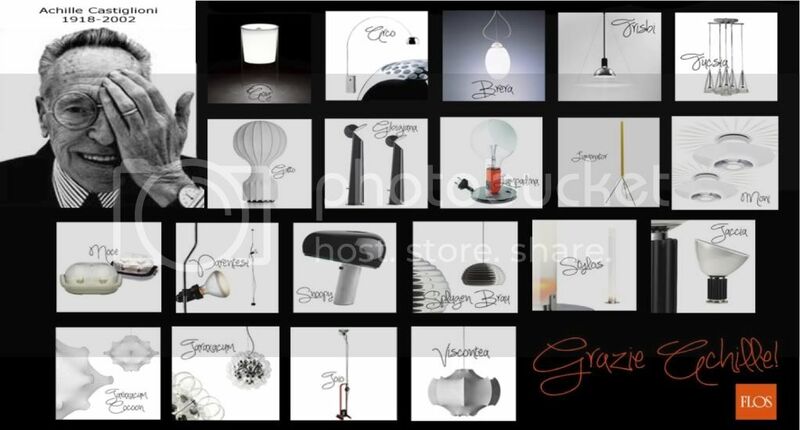 His lighting fixtures are also something worth checking out. And these even look better in numbers. Just as I did in one of my projects. Have your own Mirror Ball light in that dining table for 12. 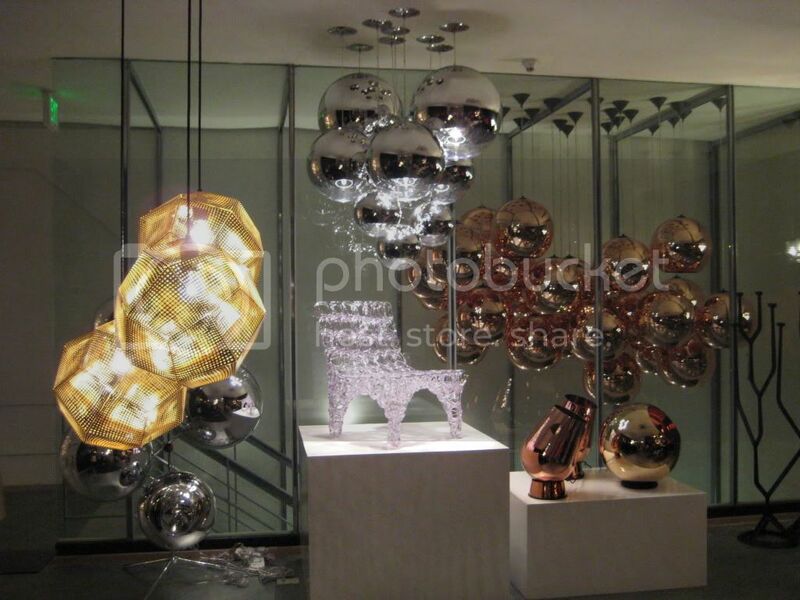 Yes, 12 Mirror Ball lamps too! Anyway, I am getting sidetracked. He is coming for a lecture series which he has been doing the past weeks around Asia. And thankfully, Manila is one of his stops. Registration is free and it has limited slots. For more information, see flyer below. I hope Tom won't disappoint! 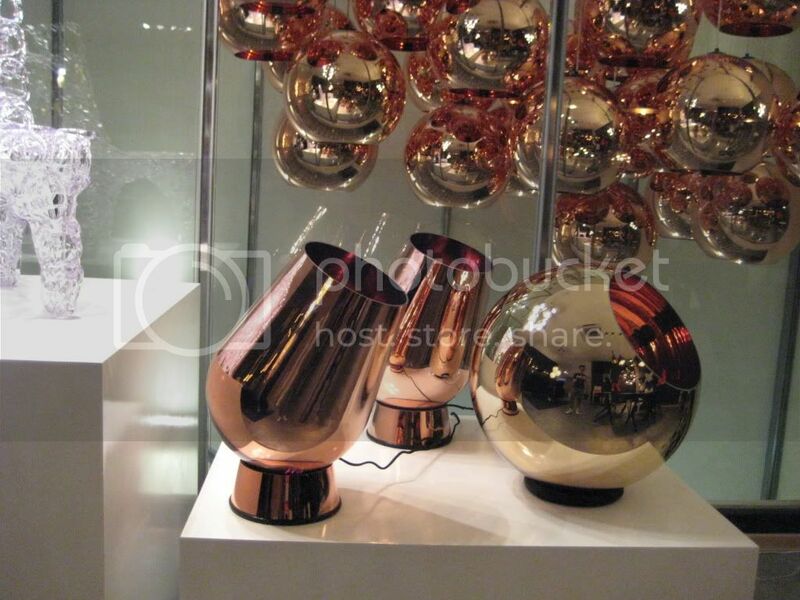 All photos taken at the Tom Dixon showroom. Last summer, I was flown by my client who is based in HK for a meeting and sourcing for some fixtures and furniture for her residence in Manila. It was a fun sourcing time and was able to see a lot of new items that have yet to be released in the Philippines. Unfortunately, I was not able to take photos for my blog as I was busy with my client. Of course, professionalism always comes first. the HK island for some sole retail therapy. Then I found one shoe that was calling out for me out of the dozens and dozens of shoes from the display rack. 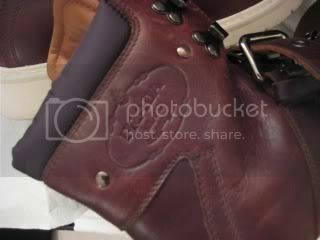 A hi-cut fall-winter shoe from 2010's collection. 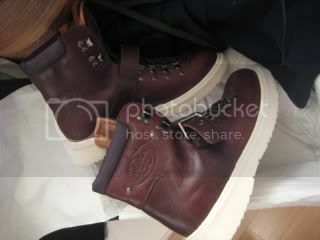 Made of leather and white rubber soles, it was just the perfect antidote. 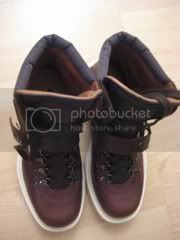 Though it was calling for me, I had to think over an hour if I could bring myself in spending Php18,000++ for a pair of shoes. 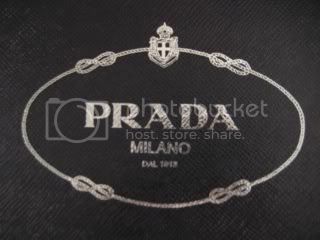 My highest so far prior to this also another Prada shoe which I also got from another outlet store in Milan. But in the end, I succumbed to buying it and have no regrets since. 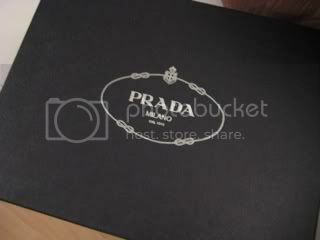 Perhaps what is bothering me is wanting another pair of Prada shoes!!! Here are the photos. This is long overdue. 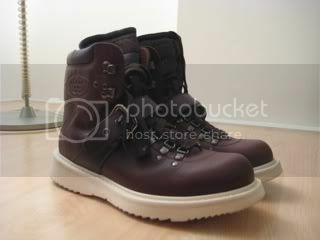 I have been using it quite more often lately due to the wet season here in the PH! 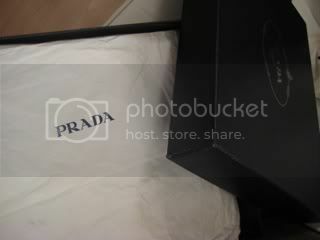 And for every Prada pair of shoes, there always come the dust bag which I really like. It has been seriously a long while since my last blog entry! I have just gotten more busy with work and extra curricular activities. 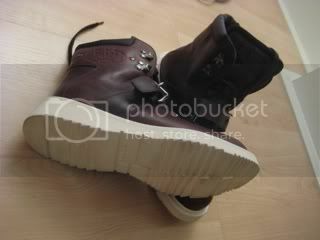 I will be blogging about them pretty soon. Hopefully, I am allowed some free time from everyone from work to home to blog a few entries here and there. 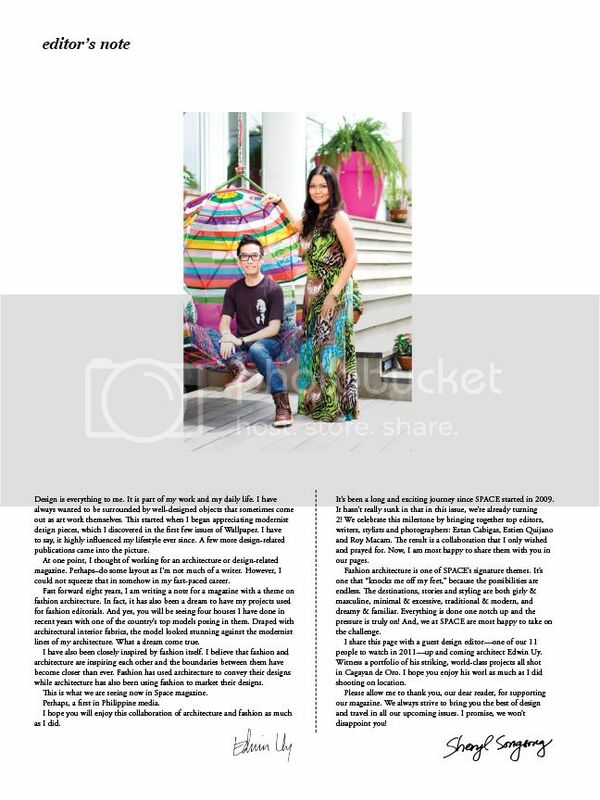 I am also very excited to share with you my guest design editor stint with Space magazine! I am also currently working with some new clients whom I hope I can work with more often in the future and of course satisfy them with my designs. There is so much in store which I would really like to share very soon. The bag that I almost purchased but got sidetracked when I personally saw the Goyard Croisiere for the first time in 2007. Two years later, I found it once again and didn't let my hands off it. Another year and a half has passed and I still enjoy using it with no regrets. 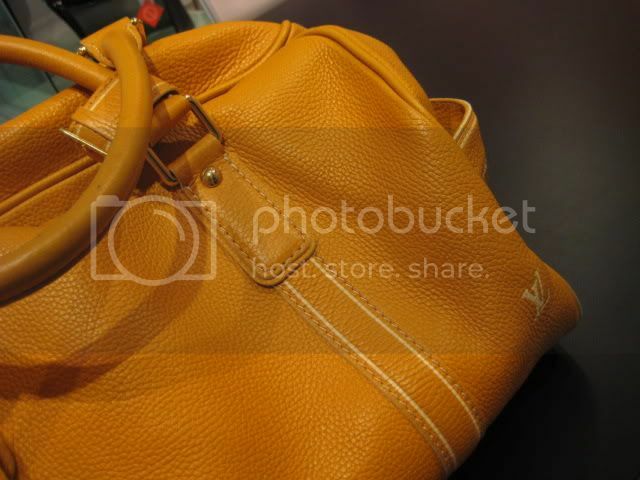 The Louis Vuitton Tobago Carryall in Yellow. I had to take a photo while I tried sitting on the Annett Chair. 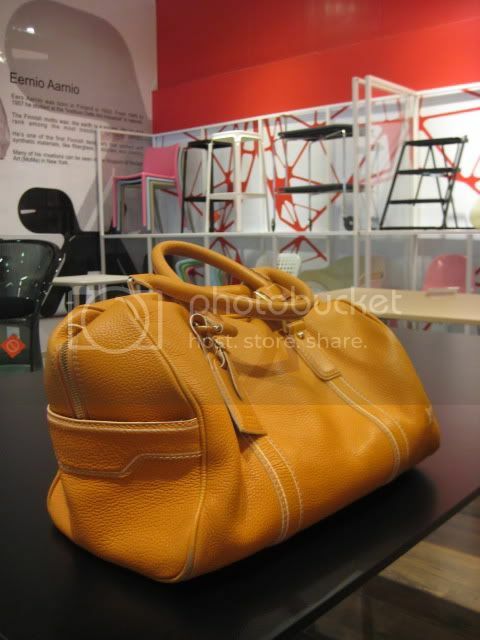 Placed it on top of Konstantin Grcic's Table One in black. The lighting was too good. 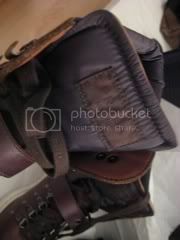 I still hope that Louis Vuitton would bring back a piece of Tobago. Just even accessories would be great. I missed the pocket organizer.